Celebrate Pi Day with the Wonderful Idea Co. team with special guest facilitator Modesto Tamez. 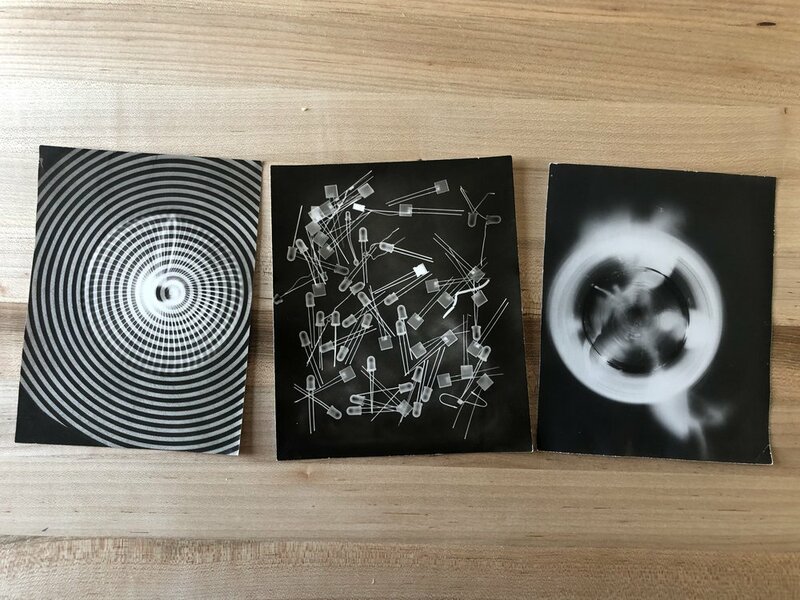 In this fun hands-on workshop you will create photograms or images created without a camera by placing objects on photographic paper, exposing it to light and then developing the print. We’ll provide a wide variety of pi-day themed materials as well as other unusual electronic and natural objects for participants to use to create one-of-a-kind prints. There will be the opportunity to learn about the art of developing photographic prints and get hands on in a darkroom environment.